Stumptown Coffee Roasters is a coffee shop that originated in Portland (read my review of the Portland location here) and has expanded with locations in Seattle, LA, and New York. While in New York I needed to get my fancy coffee fix, so I had to make a trip to Stumptown on 29th. The cafe itself is pretty small. It is located inside of the Ace Hotel, which has a really cool atmosphere and there is plenty of seating out in the lobby. In the middle of the afternoon the lineup went out the door, but it moves pretty fast, so don’t get too discouraged. Whenever I see cold brew coffee on a menu, I must order it. The cold brew coffee here comes in a small or large size. Even if you normally take your coffee with cream, I would suggest at least taking a sip before adding anything. 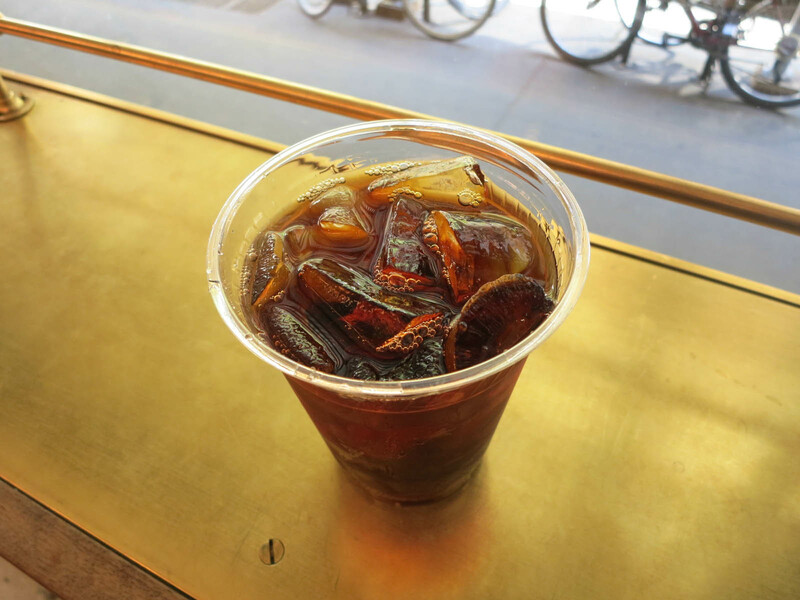 Cold brew coffee has a much smoother taste than regular iced coffee and really subtle flavour notes. It is very light and refreshing and the perfect drink for a sunny day. Stumptown is a cool coffee shop that serve great coffee. If you are someone who appreciates a well made cup of coffee, it is definitely a must visit cafe in New York City. Yes, for great cold brew coffee.